Live Help Messenger provides you with a customer service software solution that will allow you to chat with your web site visitors and engage potential customers. Work for Live Help Messenger? Learning about Live Help Messenger? What I like best is the support that live chat provides, it makes it convenient and easy to have all of my questions answered, I absolutely hate calling support because it's time-consuming, usually automated, and often unhelpful. I dislike the format, as I do with most live help messengers. I don't feel that the format is very exciting, it's pretty bland, but I also feel that's because they want to keep it simple enough for everyone to use, which I can appreciate. Live Help Messenger provides clarity and support- I love how easy it is for my questions to be answered and I don't have to wait to talk to someone over the phone. It's a very simple tool. User-friendly and easy to operate. Love the live support. Nothing really. I wish it was available on Mac. It monitors site visitors as they browse the website. It also asks visitors to chat while they are browsing. This tool proved to be user friendly and helpful. There is nothing I would change with this program. 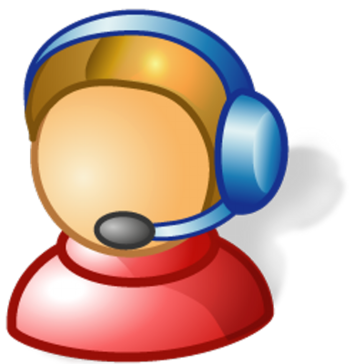 * We monitor all Live Help Messenger reviews to prevent fraudulent reviews and keep review quality high. We do not post reviews by company employees or direct competitors. Validated reviews require the user to submit a screenshot of the product containing their user ID, in order to verify a user is an actual user of the product. Hi there! Are you looking to implement a solution like Live Help Messenger?